Fixing a broken sprinkler line can be tricky, since accessing the broken section and patching in a new piece is awkward, at best. Getting couplings and a new segment of pipe to fit requires bending and flexing pipes, which can be nearly impossible when the sprinkler lines are buried. 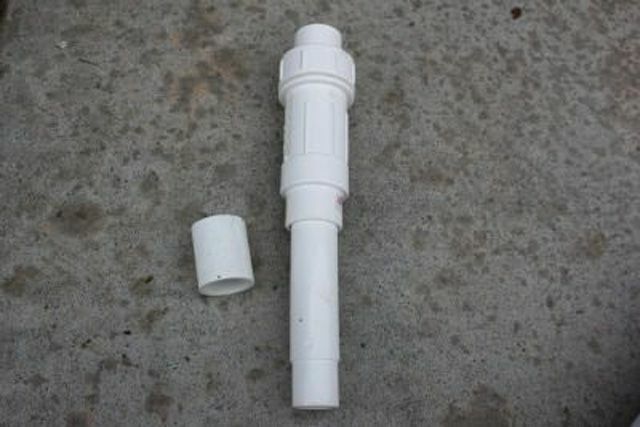 A simplified method of repairing a broken sprinkler line is to use a telescopic repair coupling. During installation, it can be slightly shortened in order to position the piece between the severed ends of the sprinkler line, then lengthened into place to secure the joints. It is an excellent method when you have limited space to make the repair. A telescopic repair coupling is appropriate for irrigation lines carrying water pressure up to 150 PSI. Extend the telescopic coupling out all the way out and place it next to the broken pipe to use as a measurement gauge for how much pipe you will need to cut out. Make two marks on the PVC sprinkler line using a marker―one at the inside edge of the slip coupling, and one at the end of the telescope. Cut the sprinkler line at the two marks, using a pipe cutter. These cuts can also be made with a hacksaw or jigsaw, but make sure the ends are straight. Clean away any burrs at the ends of the cut pipe, and make sure the pipes are completely dry. Moisture in or on the pipes will interfere with the glue bond. Before you glue, make sure there is enough room to extend the telescopic coupling all the way out to its full extension. Doing this will reduce movement along the pipe after it is buried. Glue a standard union coupling onto one end of the telescopic coupling, using solvent glue designed for PVC plastic. Collapse the telescopic coupling so it can be positioned within the repair section. 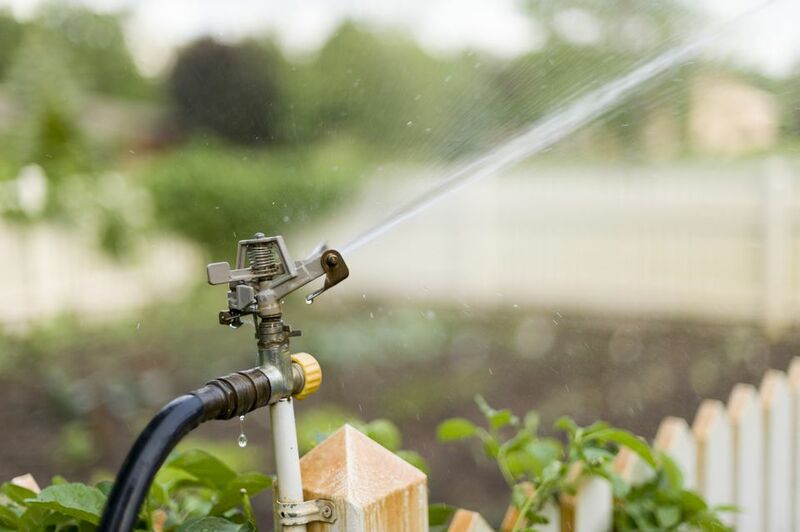 Apply solvent glue to the inside and outside of the joints, then quickly position the telescopic fitting between the ends of the sprinkler line, and expand it so the sprinkler lines slide into the sockets. Hold it for a few seconds so it does not slip out of place as the glue hardens. Let the glue dry for the required time before testing the sprinkler lines. Turn on the water and inspect the repair area carefully for leaks. Should you see leaks, the fitting will need to be cut away and a new patch installed. Once you’ve tested the seal, you can back-fill soil into the hole.